Durango, CO – Representatives from Madcap Logic LLC announced today the National Parenting Center has awarded its prestigious Seal of Approval to Creativity Express, educational software for children developed by Madcap Logic. The National Parenting Center employs an independent testing process to analyze and review consumer products marketed to parents and children. Creativity Express was awarded the Seal of Approval from The National Parenting Center in its Fall 2008 Report. The National Parenting Center’s Seal of Approval program was introduced in 1990 and provides information regarding a product’s merits based on reviews by volunteer parents and children in a variety of categories. “At Madcap Logic our passion is to help children become more successful not only in school, but in life by helping expand their creative skills. With Creativity Express, we’ve found a way to really capture a child’s attention and improve their visual literacy. As a result, kids become better problem solvers and more productive, creative people,” said Randy Parker, CEO and founder of Madcap Logic. Creativity Express was created by former animators and production experts from The Walt Disney Company. The Home Edition provides interactive educational software for children ages 7-12 and features a blend of animated movies and interactive activities that teach principles of art and provide tools for creative self expression. The School Edition includes an animated art curriculum and enrichment program with sixteen interactive lessons, student tracking and teacher lesson plans. An online version of Creativity Express is available via subscription. The National Parenting Center provides a list of products with the Seal of Approval online at www.tpnc.com. More information about Creativity Express and Madcap Logic LLC is available at www.madcaplogic.com. About Madcap Logic, LLC: Based in Durango, Colorado, Madcap Logic LLC develops fun, innovative educational products to help children achieve a new understanding of the visual world around them. 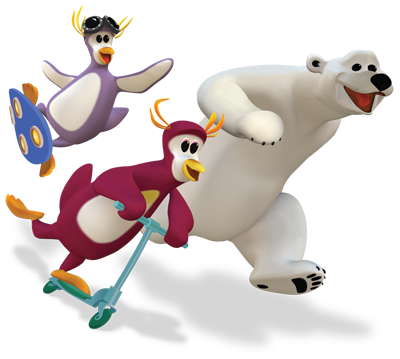 Founded in 2003 by former animators from The Walt Disney Company, Madcap Logic produces the award winning educational software Creativity Express. Creativity Express is educational software for children ages 7-12 featuring a blend of animated movies and interactive activities that teach principles of art and provide tools for creative self expression. Creativity Express was awarded a Seal of Approval from The National Parenting Center in the Fall of 2008. This entry was posted on Thursday, September 4th, 2008 at 10:44 am	and is filed under Madcap Logic Company News. You can follow any responses to this entry through the RSS 2.0 feed. Both comments and pings are currently closed.